A well-known and controversial Montreal caleche operator was in court on Thursday in a bid to refute allegations of animal neglect. Luc Desparois, who owns Lucky Luke Stables and many of the caleches operating in Old Montreal, was the subject of a May 2015 complaint to the Quebec agricultural ministry. The complaint was regarding a horse that appeared to be underweight and in ill health, and pulling a caleche. The stables were visited by a veterinarian and inspector and found one horse living in filthy conditions, with a lack of drainage in the stall, feces that had piled up and the horse developing an untreated rash. Desparois was fined $600, but chose to fight the fine. Inspector Claude Bernier testified Thursday that the stalls didn't have any litter in them and horses lived in their own excrement and urine. One horse, named Romain, had several untreated wounds, likely the result of living in filth. The stable was also too humid for horses, according to standards set by the industry. A veterinarian testified the horse in question was at least 300 pounds underweight and was limping. He said the living space was not a stable, but a simple shelter. The veterinarian ordered the horse off the road. Under cross-examination, the defence questioned the accuracy and reliability of the witnesses’ expertise. The stables, located on Basin St. in Griffintown, have also been the subject of criticism from the SPCA over the treatment of the horses. Desparois has been a visible figure in the controversial fight over Montreal’s caleches, which has seen several incidents involving the animals. In 2016, the administration of former mayor Denis Coderre attempted to impose a moratorium, but that was blocked by a court injunction. 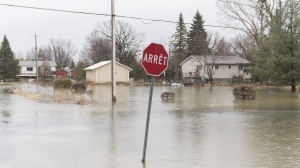 In June, Mayor Valerie Plante announced that caleches will be banned after Dec. 31, 2019. Desparois has said he plans to fight any ban.